Uruguayan footballer, who has played for Barcelona, Liverpool and Ajax. Rob, he look half inch shorter than 6 ft Carragher. Do you think 181-182 is possible for him? I wouldn't go that high, though Jamie could look 5ft 11.5 range himself at times. 5'11 with bad posture. Here a picture with Ronaldo 6'1 in world cup. I think 180 is fair.If Fernando Muslera is a true 190 then Suarez looks 180,a good 10cm smaller. As to Diego Forlan,he looks nowhere near his 180 listing,at least from this pic,much more likely 176 and 4cm smaller than Suarez. There is no way he could be over 5'11. Messi make Suarez look 5'10.75-5'11". 181cm on a good day. Definitely isn't 6ft. 5'10.75 - 5.11 is good. Editor Rob: more 5ft 9-10 range than 11. 181 out bed, he exploded it to "six foot" hence his Wikipedia page. I take that back. An inch between this guy and rakitic. And rakitic 6' is ruled out as impossible sooo I'd give this geezer the 179.5 downgrade. He looked half Inch shorter than Tiger Woods.181-182.upgrade, Rob! Rob, do you think Jordan Henderson could pass for a 6'2 guy? Rob would you say Someone like Adam Johnson is as tall as him? He does slouch a lot, but I think around 5'11'' is fine. he has bad posture, do you think 181 cm is a possibility for him, Rob? If you had said Suarez was 5 ft 8 to me I probably would have believed you! I am from Uruguay and i heard on tv that Suarez is 1.81, and Cavani is 1.84. I saw Cavani in the street and he really appear more taller because he is very thinly. I think for Cavani he's either 184 or 185cms, somewhere in that zone. Suarez looks roughly 5'11, at times a weak 5'11 other times a strong one. I think a solid 180 is fair. I know hes 181 cm. Do you think its possible, Rob? An upgrade? Im uruguayan. Suarez is 181 cm. Cavani 185 cm. I know this from very good sources. In barcelona page 182 for him. Why would they lie, Rob?. Editor Rob: they like to make stars seem taller...they may well have got him early in the day and rounded up - then it's not so hard to beleive he would be over 5ft 11 at 9-9.30am. Rob how tall do you think is his teamate Cavani? Editor Rob: I wouldn't have thought under 184, he can look at least 4cm taller with suarez. I agree it's short in most countries But I think abnormal would be a tad harsh it's not THAT short abnormal is the wrong word to use, slightly under 5'7 is not abnormal short it's just ordinary short in most places and as you say avarage & even above avarage in some countires. Abnormal (though I don't like the word) would honestly be 5'3 & under in most countries as that's below avarage everywhere. 5'5 - 5'7 are ordinary short heights as plenty of men around the globe are in that range. @veryshortrussiandude it depends where, in China and other countries like that you would be average or even above average. But in the United States and Netherlands you would pretty much be short at 5'6.5. @Hornayud Bale is taller than 6 ft.
@uh-huh Messi is 100% hispanic. Messi has Spanish ancestry also, not only Italian. A lot of Argentinians are of predominant European (Italian or Spanish) ancestrty, so Messi is not an atypical hispanic man. 5'6.5 is not abnormally short. Just below average. 5'6.5 is abnormally short? Give me strength! so what is 5'7 borderline abnormal? messi is of full italian descent. he's abnormally short because of a hormone deficiency, not because he's "hispanic". Dear Rob, if Andy Carroll is 6'4 then Joe Hart? Both were together in some pictures and Joe Hart looked 2 cm taller then him. What dou you think? Editor Rob: he could be 6ft 3.5 then, Hart I wouldn't have thought over 6ft 4 himself...he does have a thicker hairstyle than Andy though. 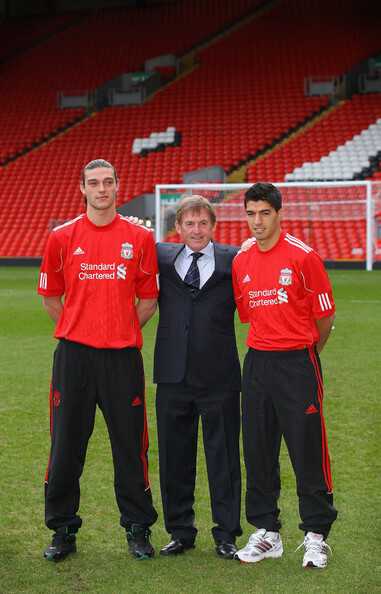 Arch Stanton - Same, I thought he was short like Messi etc, shocked @ 5'11"
Rob how tall dou you think about Andy Carroll? Funny, but I had thought he was one of those little Hispanic fellas like Messi. Rob, would 5'11.25 will better fit for him? like he looks more to it. Editor Rob: you could argue it sure, I think around 5ft 11 is ok for him With big Andy Carroll that's a decent difference.